GOSH!ABOUT: Brooklyn Black Tie Ball – GOSH!About: Fashion. Art. Music. Events. TV. Non Profits 'N' Lifestyle > Subscribe now! Brooklyn Black Tie Ball and After Party at the Pier 2 of the Brooklyn Bridge Park. Hosted by comedian and emcee, Wyatt Cenac, with special guests appearance by Micheal Rhys and Keri Russell, stars of The American, Marcus Wainwright, CEO of Rag & Bone, Nancy Webster, Alicia Glen among many more. 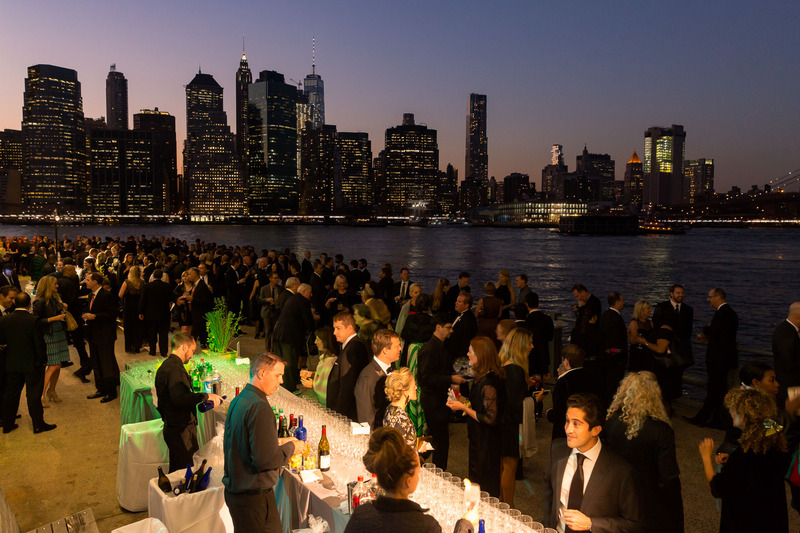 An evening of celebration for one of New York City’s most spectacular waterfront parks. This sold – out event raised over $1.1 million dollars, with over 800 guests in attendance.. The proceeds from the Brooklyn Black Tie Ball will help keep the Park vibrant, beautiful, and growing; directly supporting the Conservancy’s over 500 free and low cost activities and events. Over one million Brooklyn Bridge Park visitors have enjoyed the Conservancy’s education, cultural, fitness, recreation, and arts programs. In 2016, more than 170,000 individuals enjoyed Conservancy events including kayaking, waterfront workouts, and environmental education classes, as part of its extensive lineup. At this year’s Ball, the Conservancy honoured noted humanitarian and business executive, Barry S. Sternlicht, Chairman, CEO of Starwood Capital Group and the founder of SH Group and 1 Hotels. The Conservancy paid tribute to Regina Myer, fun outgoing President of Brooklyn Bridge Park for her years of service and vision that established the Park as a world renowned destination. With her leadership, the waterfront location has transformed from an inaccessible waterfront into a world-class park that now receives over 4 million visitors annually. The Brooklyn Bridge Park Conservancy has worked for over 30 years to bring Brooklyn Bridge Park to life. We started out as grassroots advocates, bringing together residents, government, and local supporters to transform an abandoned waterfront into the park you see today. Now an essential supporter, we work in partnership with Brooklyn Bridge Park Corporation to ensure that the park reaches its full potential as a dynamic and vibrant public space for Brooklyn, New York City, and beyond. The Conservancy produces diverse and innovative programming for park visitors and cultivates volunteer and philanthropic support of this special place on the Brooklyn waterfront. Since 2000, more than 1,000,000 visitors have enjoyed the Conservancy’s free, public programs in Brooklyn Bridge Park.